Whenever I visit Paris one of my goals is to stay as near as possible to the Eiffel Tower! This may sound rather childish but there is something magical and romantic about the Tower and I’d rather like a little of this to rub off on my trip there. 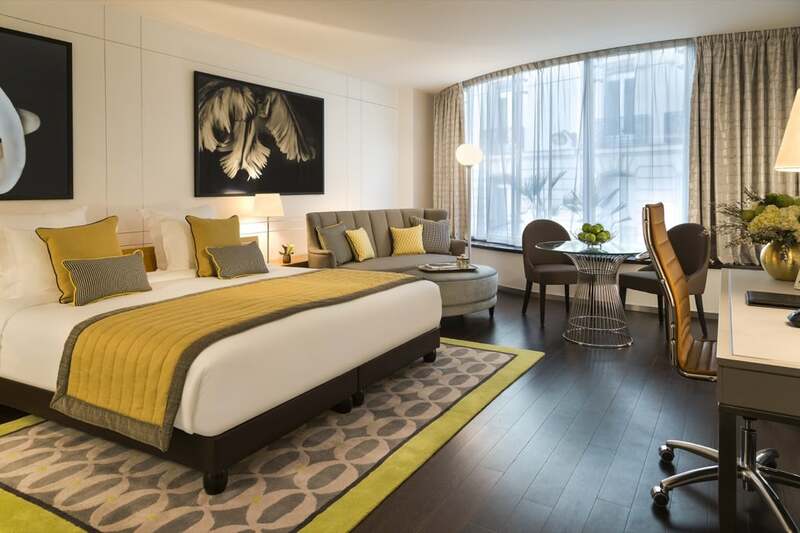 Read on for my tips for the top 5 best luxury hotel rooms and apartments in this beautiful district. This stunningly elegant residence (pictured above) is rather a cross between a hotel room and an apartment. You would strictly call it an apartment but the excellent personalised service that you receive feels rather more like a hotel. 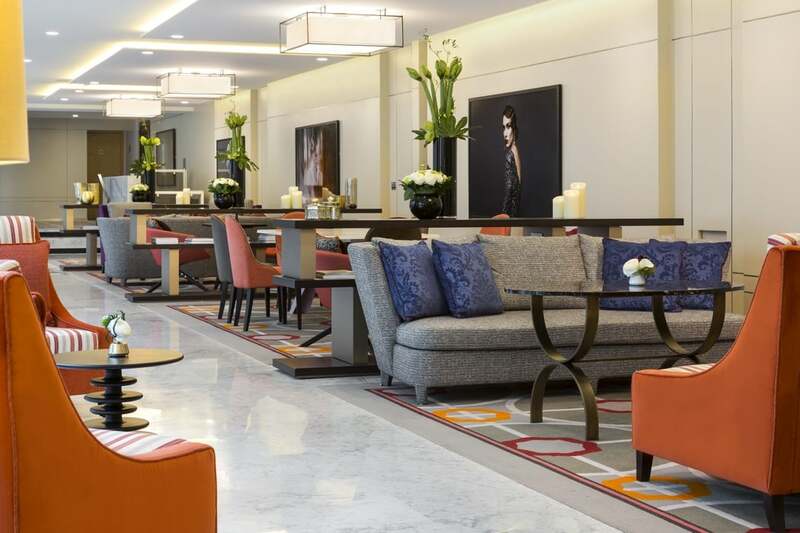 Situated perfectly just between the Trocadéro and the Avenue des Champs-Elysées in the heart of the city’s central business district. 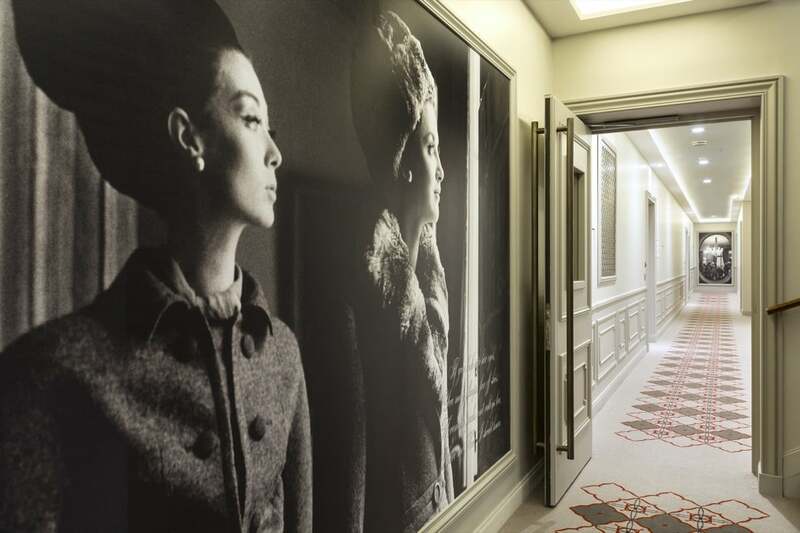 A historic building with a contemporary, chic and totally Parisian interior awaits. 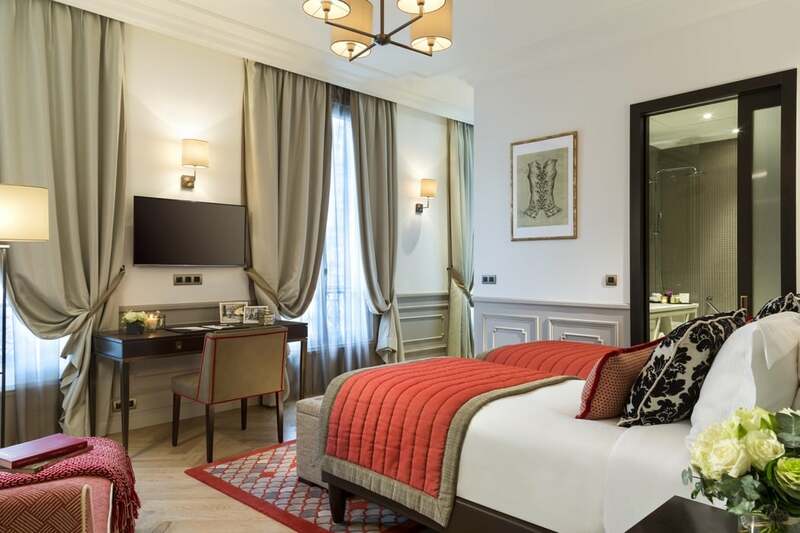 There are 112 beautiful rooms and apartments, there are Classic, Superior and Deluxe versions of each but all are spacious and luxurious – though if your budget will stretch, the two bedroom Eiffel Tower Suite is simply exquisite and offers the most sensational views of my favourite Parisian landmark. 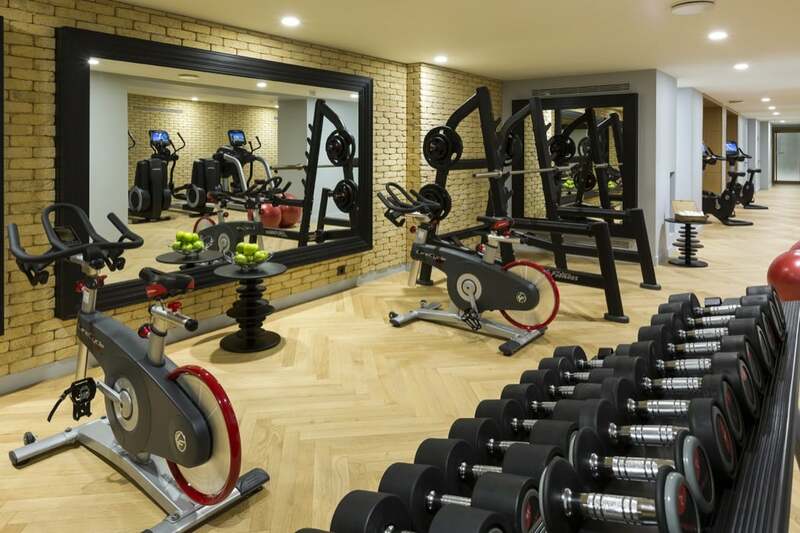 The room amenities are all as you would expect for a residence of this class but other facilities include a complimentary on-site launderette, a well-equipped gymnasium, a restaurant serving breakfast and a resident’s lounge. 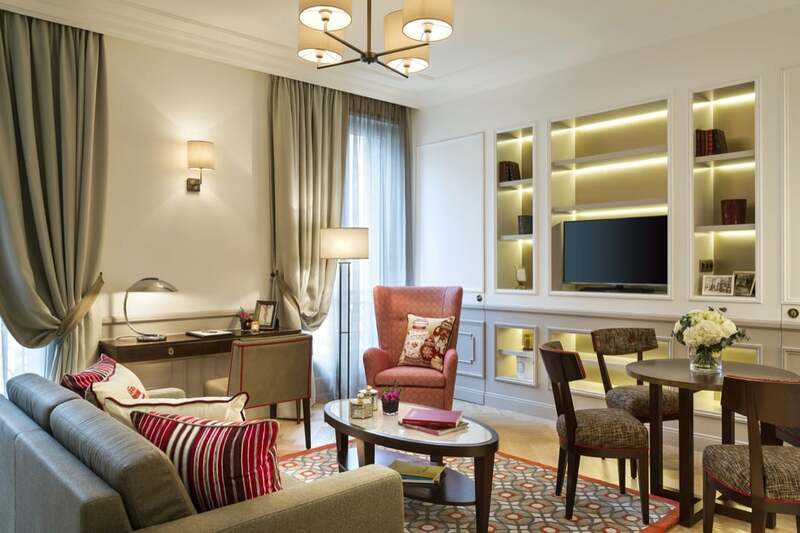 This apartment is owned by the same group as La Clef Tour Eiffel Paris, The Crest Collection, so you instantly know that you’ll be received a certain level of service. 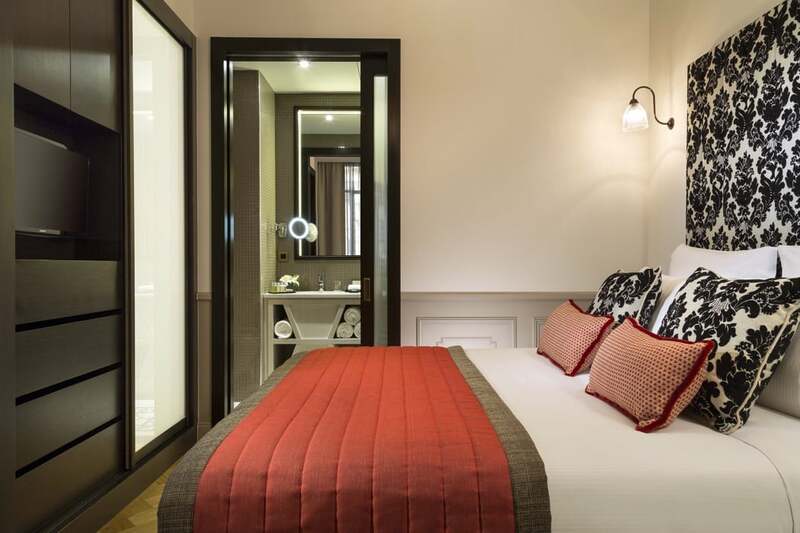 Situated opposite the Comédie-Française and the Louvre, right on the doorstep of the Palais Royal and a few minutes from the Opéra Garnier. 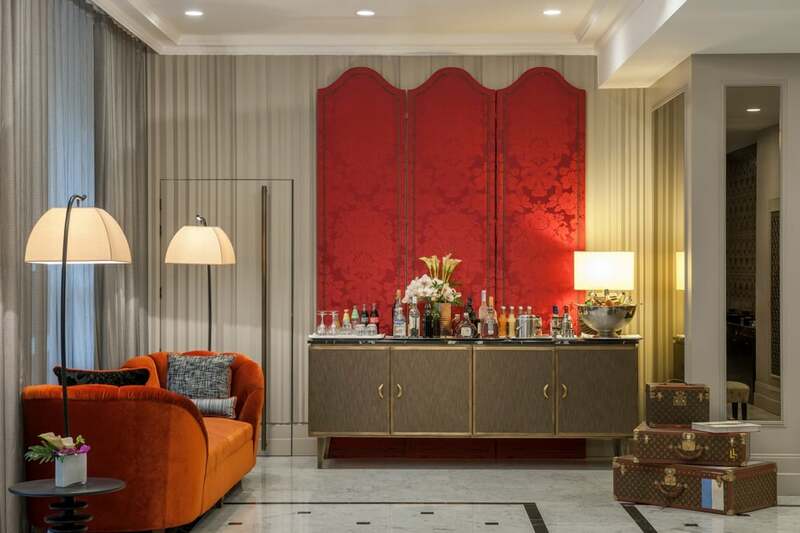 The 5-star residence has 51 stunning suites where antiques sit side-by-side with more contemporary designer pieces. The overall mood is elegant, sophisticated and treads that fine balance between a formal style and a relaxed feel. There are Premiere, Exclusive, Junior and Royale suites, the Premiere is the smallest though still spacious for 2 people, the others are all 40sqm though book the Royale if you can; their balconies overlook the Louvre district and there are various exclusive benefits when you book these suites too. 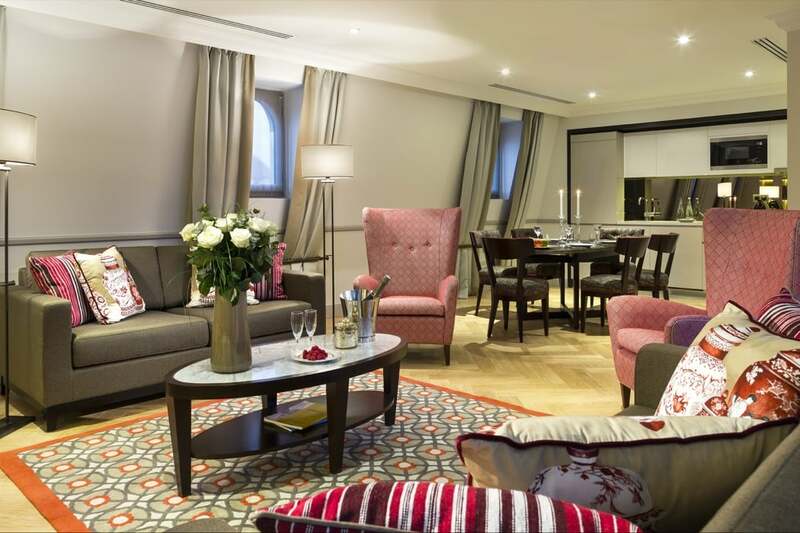 Just a 12-minute walk from the Eiffel Tower, this hotel features 40 beautiful, traditional rooms with a plush finish and stylish extras. 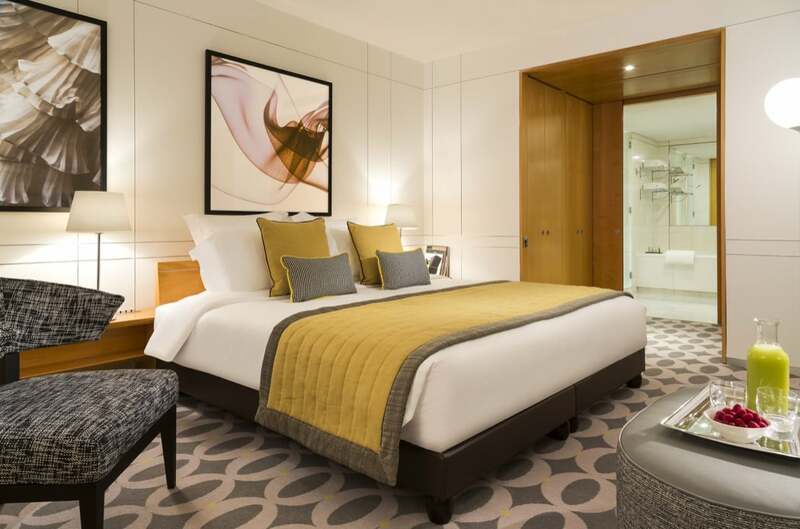 For the views of the tower, go for a Junior Suite, they also have a more contemporary feel. Breakfast is included and the hotel also provide an airport shuttle. As our regular readers will know we are big fans of the Four Seasons, the 4th position here is only really because it’s not situated right next to the tower (though it is just steps from the Champs-Élysées), but does have great views across the River Seine to make up for this – particularly from the Penthouse Suite terrace! 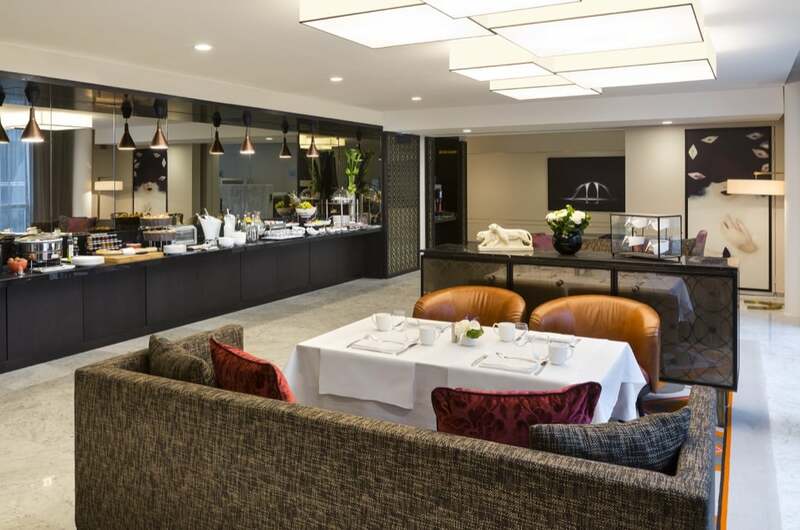 The elegance and charm of the hotel is exactly as we would expect; there are 244 stunning guest rooms, fine dining is available at a choice of three restaurants and there is a luxurious spa. This 2 bed apartment is just a 10 minute walk from the tower and can sleep 4/5 people. Comfortable with great facilities – a pool and gym are available in the block and there are amazing views of the tower – the rooftop sun terrace is the place to go. Bold colours and quirky touches really make this feel like a home from home.